5/8-inch wide adjustable nylon dog collar in a colorful and stylish weave pattern. 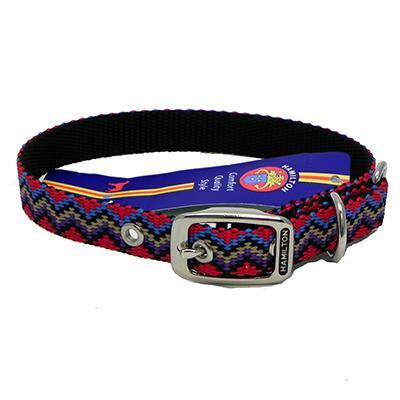 Fits dogs with a neck size of 8 to 10-inches. Metal buckle, metal D-ring and metal loop - all with a chrome finish. Adjuster holes are fitted with metal grommets for added durability.